Founded in Denmark in 1944, the family business BODUM® is now based in Switzerland. It offers its customers all over the world the very latest products for tea and coffee making, all kinds of articles for the table, for the kitchen and store cupboard and other products for domestic and office use. 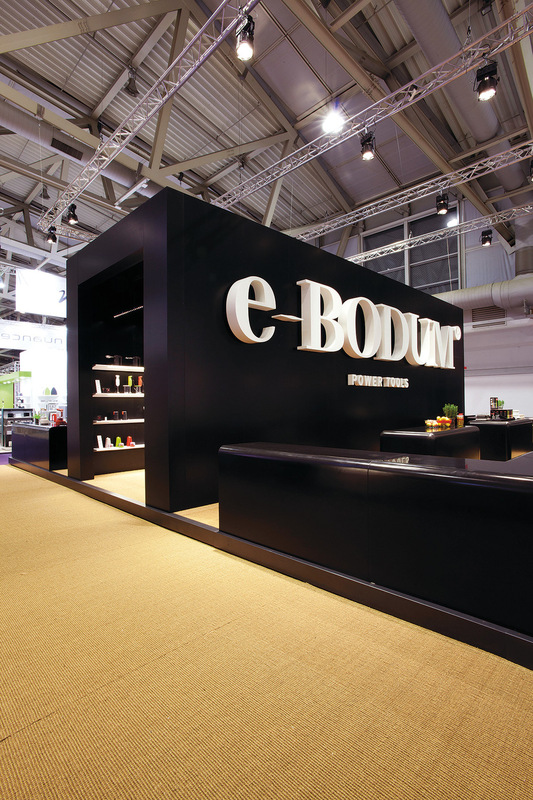 The company chose the coir rug Calicut natur for its trade fair stand at the Ambiente 2012 in Frankfurt. The stand measures around 1000 square metres. Together with the black and white stand furnishings, the natural materials of this carpet classic results in a clear and tranquil backdrop for the presentation of colourful products.